This is the ninth in a series of tips on writing effective C. Way back in 1999 I wrote an article for Embedded Systems Programming concerning the #error directive. If you aren’t particularly familiar with #error, then I suggest you read the article. While the #error directive has remained one of my most popular tools, I have become an equally big fan of #warning. Before I delve into the uses of #warning, I must warn you (if you would pardon the pun) that #warning is a non standard directive. However it is supported by IAR, GCC, Microchip’s C18 compiler, Hi-Tech and probably a whole raft of other vendors. In other words, it’s pretty standard for a non-standard feature. This will result in the compiler issuing a warning with the text ‘This is a warning’ printed to stderr. Please note that, just as for #error, there is *no* requirement that the text be in quotes. If you insist on putting quotes around the text, then they will be printed to stderr as well. With the syntax out of the way, here’s some of the ways that I use #warning. Thus what happens now is that whenever I compile the module, I get a warning (i.e. reminder) that there is something important still to be done. #warning Temporary debug construct. Fix me! In this case whenever I compile the module, I get a warning (i.e. reminder) that I have some experimental code in the image. While the above are useful constructs, the real power of #warning comes if you configure your compiler to treat warnings as errors for the release build. If you do this and you have inadvertently left incomplete or debug code in the image, then your compilation will fail. In short, this technique will guarantee that you never release code that includes / excludes code that shouldn’t / should be there. That’s effective C.
Failing to place the peripheral into the correct mode. I think most people tend to focus on the first item. Personally I have learned that it’s usually better to tackle the above problems in the reverse order. Almost all peripheral drivers need interrupt handlers, and these are often the source of many problems. If you have followed my advice, then at this stage you should have a skeleton interrupt handler for every possible interrupt vector that the peripheral uses. You should also have an open and close function. A smart thing to do at this stage is to download your code to your debug environment. I then place a break-point on every interrupt handler and then I call the open function. If the open function merely configures the peripheral, yet does not enable it, then presumably no interrupts should occur. If they do, then you need to find out why and fix the problem. At this point I now add just enough code to each interrupt handler such that it will clear the source of the interrupt and generate the requisite interrupt acknowledge. Sometimes this is done for you in hardware. In other cases you have to write a surprising amount of code to get the job done. I strongly recommend that you take your time over this stage as getting an interrupt acknowledge wrong can cause you endless problems. The next stage is to write the enable function, download the code and open and enable the peripheral. This time you need to check that you do get the expected interrupts (e.g. a timer overflow interrupt) and that you acknowledge them correctly. Just as importantly you also need to check that you don’t get an unexpected interrupt (e.g. a timer match interrupt). On the assumption that all is well, then you can be reasonably confident that there are no egregious errors in your setup of interrupts. At this point you will probably have to further flesh out the interrupt handlers in order to give the driver some limited functionality. Although I’m sure you’ll be tempted to get on with the problem at hand, I recommend that you don’t do this, but rather write code to help tackle the next problem – namely that of clocking verification. Most peripherals use a clock source internal to the microprocessor. Now modern processors have multiple clock domains, PLL based frequency multipliers, and of course multi-level pre-scalars. As a result it can be a real nightmare trying to get the correct frequency to a peripheral. Even worse it is remarkably easy to get the approximately correct frequency to a peripheral. This issue can be a real problem with asynchronous communications links where a 1% error in frequency may be OK with one host and fail with another. As a result I now make it a rule to always try and verify that I am indeed clocking a peripheral with the correct frequency. To do this, there is no substitute for breaking out the oscilloscope or logic analyzer and measuring something. For timers one can normally output the signal on a port pin (even if this is just for verification purposes). For communications links one can simply set up the port to constantly transmit a fixed pattern. For devices such as A2D converters I usually have to resort to toggling a port pin at the start and end of conversion. Regardless of the peripheral, it’s nearly always worth taking the time to write some code to help you verify that the peripheral is indeed being clocked at the correct frequency. If your processor has an EMI reduction mode, then consider turning it off while performing clocking measurements. The reason for this is that ‘EMI reduction’ is actually achieved by dithering (quasi randomly varying) the clock frequency. Clearly a randomly varying clock isn’t conducive to accurate frequency measurements. Make sure that your system is indeed being clocked by the correct source. I mention this because some debuggers can provide the clock to the target. Finally, if you find that you have an occasional problem with a peripheral, then checking that the clocking is precise is always a good place to start. Considered every bit in every register in your open function. Verified that you have interrupts set up correctly. Written the enable function and at least part of the interrupt handler(s). Verified that you have the correct frequency clocks going to the peripheral. You should now complete writing the driver. This is where you write the bulk of the application specific code. Clearly this part is highly application specific. Notwithstanding this, I can offer one piece of advice. Probably the single biggest mistake that I have made over the years is to assume that because the driver ‘works’ that it must be correct. I will give you a simple example to demonstrate what I mean. It’s well known that the popular SPI port found on many devices can operate in one of four modes (often imaginatively called Mode0, Mode1, Mode2 & Mode3). These modes differ based on the phase relationship of the clock and data lines and whether the data are valid on the rising or falling edge of the clock. 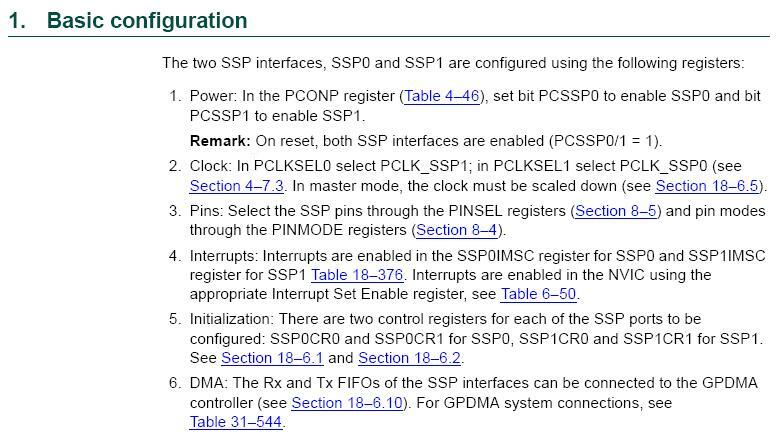 Thus it’s necessary to study the data sheet of the SPI peripheral to find out its required mode. Let’s assume that after studying the data sheet you conclude that Mode2 operation is called for – and you implement the code and it works. If you then walk away from the code then I humbly suggest you are asking for it. The reason is that it’s possible that a peripheral will ‘work’ in Mode 2, even though it should be operated in Mode 3. The peripheral ‘works’ in Mode 2 even though you are right on the edge of violating the various required setup and hold times. A different temperature or a different chip lot and your code will fall over. It’s for this reason that I strongly recommend that you break out the logic analyzer and carefully compare the signals to what is specified in the data sheet. There is nothing quite like comparing waveforms to what is in the data sheet to give you a warm fuzzy feeling that the driver really is doing its job correctly. Driver writing is hard. Engineers that can take on this task and write clean, fast and correct drivers in a timely manner are immensely valuable to organizations. Thus even if you cringe at the thought of having to write a device driver, you might want to put the effort into learning how to do it – your career will thank you! Configuring hardware – part 2. This is the second in a series on configuring the hardware peripherals in a microcontroller. In the first part I talked about how to set / clear bits in a configuration register. Now while setting bits is an essential part of the problem, it is by no means the most difficult task. Instead the real problem is this. You need to configure the peripheral but on examining the data sheet you discover that the peripheral has twenty registers, can operate in a huge number of modes and has multiple interrupt sources. To compound the difficulty, you may not fully understand the task the peripheral performs – and the data sheet appear to have been written by someone who has clearly never written a device driver in their life. If this sounds a lot like what you have experienced, then read on! Failing to configure a register at all. Setting the correct configuration bits – but in the wrong temporal order. To help minimize these types of problems, this is what I do. This is a crucial step. If you can’t write in plain English (or French etc) what the driver is supposed to do then you stand no chance of making it work correctly. This is a remarkably difficult thing to do. If you find that you can’t succinctly and unambiguously describe the driver’s functionality then attempting to write code is futile. I typically put this explanation in the module header block where future readers of the code can see it. An explanation may look something like this. 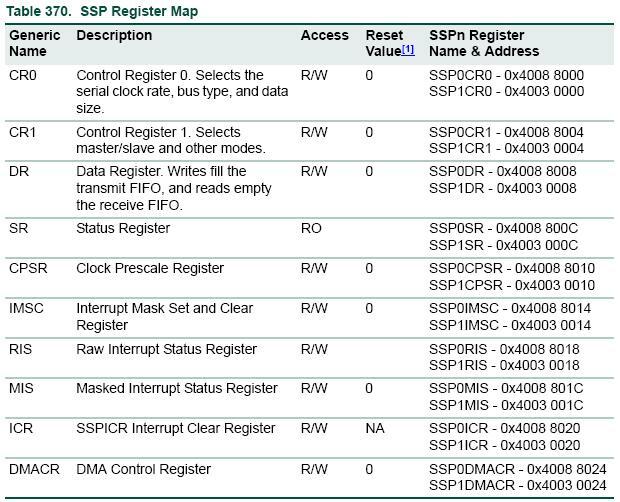 This is a serial port driver. It is intended to be used on an RS232 line at 38400 baud, 8 data bits, no parity, one stop bit. The driver supports CTS / RTS handshaking. It does not support Xon / Xoff handshaking. Characters to be transmitted are buffered and sent out under interrupt. If the transmit buffer fills up then incoming characters are dropped. Characters are received under interrupt and placed in a buffer. When the receive buffer is almost full, the CTS line is asserted. Once the receive buffer has dropped below the low threshold, CTS is negated. If the host ignores the CTS line and continues to transmit then characters received after the receive buffer is full are discarded. As it stands, this description is incomplete; for example it doesn’t say what happens if a receiver overrun is detected. However you should get the idea. Incidentally I can’t stress the importance of this step enough. This was the single biggest breakthrough I made in improving my driver writing. This is also the step that I see missing from almost all driver code. Open function. This function does the bulk of the peripheral configuration, but typically does not activate (enable) the peripheral. Close function. This is the opposite of the open function in that it returns a peripheral to its initial (usually reset) condition. Even if your application would never expect to close a peripheral it is often useful to write this function as it can deepen your understanding of the peripheral’s functionality. Start function. This function typically activates the peripheral. For peripherals such as timers, the start function is aptly and accurately named. For more complex peripherals, the start function may be more of an enable function. For example a CAN controller’s start function may start the CAN controller listening for packets. Stop function. This is the opposite of the start function. Its job is to stop the peripheral from running, while leaving it configured. Update function(s). These function(s) are highly application specific. For example an ADC peripheral may not need an update function. A PWM channel’s update function would be used to update the PWM depth. A UART’s update function would be the transmit function. In some cases you may need multiple update functions. Interrupt handler(s). Most peripheral’s need at least one interrupt handler. Even if you aren’t planning on using an interrupt source, I strongly recommend you put together a function outline for it. The reason will become clear! Personally, I usually place the configuration of these registers in a central location which is thus outside the driver. However there is also a case for placing the configuration of these registers in the driver open function. I will address why I do it this way in a separate blog post. At this stage all I have done is ensure that my code is at least aware of the requisite registers. For many peripherals, it is important that registers be configured in a specific order. In some cases a register must be partially configured, then other registers must be configured, and then the initial register must be completely configured. There is no way around this, other than to read the data sheet to determine if this ordering exists. I should note that the order that registers appear in the data sheet is rarely the order in which they should be configured. In my example, I will assume that the registers are correctly ordered. Clearly this is the toughest part of the exercise. However at least if you have followed these steps, then you are guaranteed not to have made an error of omission. This blog posting has got long enough. In the next part of this series, I will address common misconfiguration issues, interrupts etc.